Rusty wants to modify his go kart into a speedier machine using recycled parts from the recycling yard and your child will be able to help! Engineering -Your child will be able to learn a bit of engineering as he or she will need to test out different combinations of the parts provided to get the speediest version of either a race car or an “air-speeder” (flying car). How fast the designed vehicle can go is displayed via the meter at the top part of the screen. 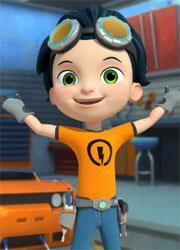 Hand & Eye Coordination -Once the vehicle is designed, your child will get to test-drive the race car. 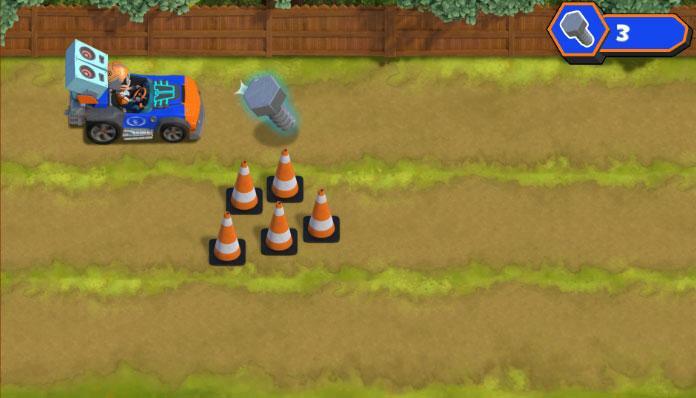 He or she will need to use the up and down arrow keys to move the car to lane to lane to avoid bumping into obstacles and to collect bolts and speed-ups. Bolts that your child has collected can then be used to accessorize the vehicle they have designed. 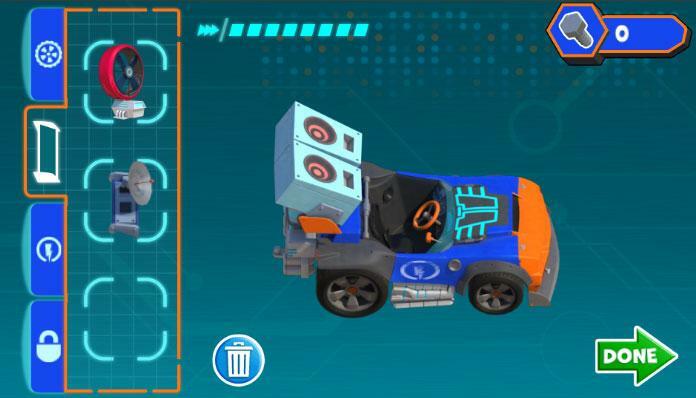 Recycling -In a rather subtle way, the game also teaches your child that car parts can also be recycled and reused. 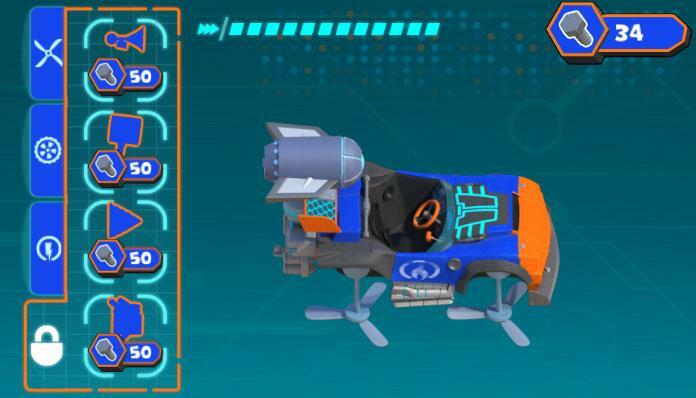 Replay Value -Your child can design as many different types of vehicles as they like whether it is a race car or an air-speeder. Motivation -As your child will need to design the best possible car to be able to collect more bolts during the test-drive to buy cool car accessories, they will be motivated to mix and match the car components until they find the best possible combination. by Aethyna Jun 24, 2016 Rusty wants to modify his go kart into a speedier machine using recycled parts from the recycling yard and your child will be able to help! Read More Be the First to Post a Review!